we are delighted that you're interested in coming to Weihenstephan for advancing your studies, for an internship or research. Living and studying in a foreign country will certainly be an exciting experience for you. We have an International Team at the Weihenstephan Campus Office and ERASMUS officers for each study program division who help you in all relevant matters. Chris Gillman / Christine Hirsch +49.8161.71.5498 or .3711, international[at]wzw.tum.de - we're here to help you! Exchange students can principally choose courses from the entire TUM course catalog which is available here. We expect all exchange students to take at least 50% of your workload (number of courses and ECTS credits) at TUM School of Life Sciences Weihenstephan. Our courses can be identified by the WZ Module Code (e.g. WZ2130). Please always indicate the WZ Module Code and course title in your learning agreement. If you have questions regarding modules or examinations, please contact your respective coordinator. For those interested in getting an overview about the courses offered in English at our School of Life Sciences in Weihenstephan in the current semester, you can search our online course database TUMonline for courses held in English. You can, of course, also choose from the entire German study guide. The curriculum for each term will be updated during February/March and August/September. More information on the exact times and locations is finally available in TUMonline. Please note that some courses (especially practical courses and laboratory courses) have a limited number of places, and in these cases the degree students of the faculty have the priority. Below you find several ways to find modules and courses. You should be aware that you always have to book MODULES in your Learning Agreement, but one module may consist of several COURSES. In order to facilitate your search within our School of Life Sciences, we have prepared a list of MODULES WEIHENSTEPHAN for you which gives you the possibility to first focus on your area of study and then sort by language, level and term. You will then get a list of modules with their module number and the pertaining courses. Here again you are, of course, free to book modules from all Weihenstephan Study Program Divisions. Use TUMonline and browse module handbooks (“Modulhandbücher”). A link can be found on the starting page. Identify a module in the School of Life and Food Sciences. Module handbooks are helpful if you wish to take a look at course content, prerequisites for admission, ECTS credits, recommended reading etc. The TUM International Center will forward applications to the respective TUM schools after the application deadline. Your application will then be reviewed by our coordinators and you will subsequently receive your acceptance letter by e-mail from the TUM International Center. If you are coming to TUM to participate in a project or to , complete your thesis (or part of it) at a TUM chair or institute, or if you are spending a few months at TUM within the scope of a grant program (e.g. Erasmus SMP, Fulbright, etc.) you can get enrolled for a maximum of three semester. Language is a code to the culture and key to the people of the country you live in. 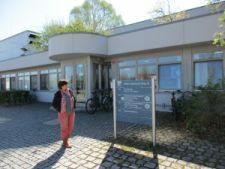 The TUM Language Center offers you the opportunity to take part in its regular “German as a foreign language” courses as well as other language classes. We sincerely hope that you will find a course that fits into your curriculum. 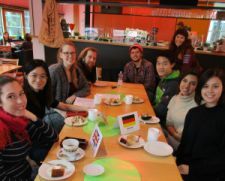 The International Language Café is the place for inter-cultural exchange where you can share your ideas, culture and language in a relaxed environment. All German and international students and staff are invited and encouraged to come and meet with other internationally minded people, make new friends, learn and improve your German or talk to your fellow students in your own mother tongue. Free coffee / tea and cake will be provided. You will receive results for every examination you have completed at TUM. You can easily print out a Transcript of Records from your TUMonline account. Log in and select "transcripts" in the "studies" column on your business card. Select the option "print certificate" to generate an official academic transcript of records. If you need a signature please contact personally the examination office ‘Prüfungsamt Weihenstephan’, Alte Akademie 1, 1st floor. If not all your grades are available by the time you leave, it is your responsibility to check in TUMonline when your grades are validated and then send an e-mail to international[at]wzw.tum.de requesting the document. Exchange students do not need to exmatriculate, this will be done automatically by TUM at the end of the semester you applied for. Just in case you need a confirmation of exmatriculation e.g. to cancel your German national insurance, you need to do it by your own. If you had a room in a dorm, please be sure to clean it up properly so your deposit will be fully refunded to you by Studentenwerk. Same applies, of course, if you lived in a private room and don’t forget to cancel your rental contract on time. 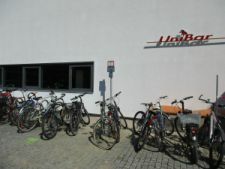 When leaving Freising, you have to give notice of your departure to the Residents’ Registration office (Bürgerbüro)! You should close your bank account a few days before departing Germany to avoid unnecessary charges or fees. re-enroll by paying your semester fee (129,40 €) no later then 15th of February, 2019! and validate your student card for the next term. Your feedback is important for us … we’d highly appreciate if you could give us your suggestions on how we can improve our service for exchange students. Your feedback is used to improve the study abroad-experience for you and others who follow in your footsteps.